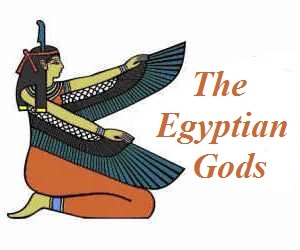 This article contains fast, interesting, fun facts about the guardian goddess Renenutet, protector of the monarchy for research, schools, students and kids providing an insight into the lives and religious beliefs of the ancient Egyptians. This cobra deity was revered as a protector of the monarchy and goddess of crops, vines and the abundance of the harvest. She was linked to the Pharaoh's responsibility for the cycle of abundant harvests. 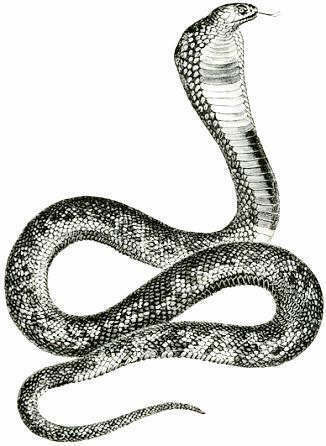 The cobra was a potent symbol of gods and pharaohs, an emblem of supreme power and absolute authority. Cobra-headed deities were distinguished as protective deities of the pharaohs. She is depicted as either a seated goddess or rising up in anger. As a protector deity she was also associated with raising children including those of royalty. She was therefore strongly associated with nursing and childbirth. As a protector of the monarchy she was represented as a powerful adversary to all enemies of Egypt with flames leaping from her mouth and eyes. To the Egyptian people she was a benign goddess who nurtured the crops providing an abundant harvest. In this role she was also connected with vineyards and winemaking. She was also the deity of fate, luck, prosperity and happiness. A deity who controlled the destiny of Egyptians and this was connected with her role in childbirth - she was believed to apportion the length of time a person would live. Her connection with prosperity and destiny extended into the choices that were made in life and therefore became associated with Ma'at, the ancient Egyptian goddess of truth and justice and was seen as a powerful guardian of law and order. One of her titles was the "Lady of Justification". She was responsible for assigning the Ren. As a part of the soul, a person's 'ren' meaning name was given to them at birth and the Egyptians believed that it would live for as long as that name was spoken. Facts and information about Renenutet for kids with some amazing, cool and quick information about ancient Egypt and Egyptians. These fast interesting facts about Renenutet are ideal for children, homework, schools, teachers and kids of all ages. 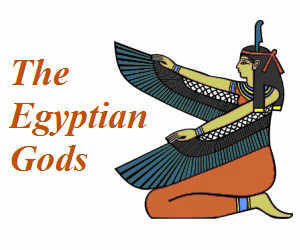 Learn about the ancient Egyptian goddesses the fast and easy way via the Renenutet Fact sheet. As a goddess of farming and agriculture her cult center was based in the fertile region of the Faiyum and also worshipped at Crocodilopolis, "Crocodile City" along with Sobek the Egyptian crocodile god who symbolized the might of the Egyptian pharaohs. She was worshipped as the consort of Sobek and their son was believed to be Neper, the child-god of grain and the harvest. Together they formed a triad of agricultural deities. There were festivals held in honor of the goddess during the sowing season that was called Peret and occurred between October and January and the harvesting season was called Shemu and occurred between February and May. A title related to her role in the harvest was the "Mistress of the threshing floor". She was worshipped in special shrines located in granaries in her role of a protector of crops against predators such as rodents and snakes who fed on the grain. 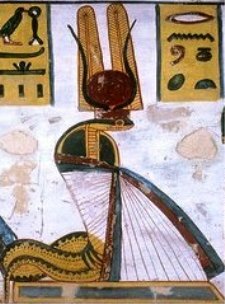 Continuing the theme of harvest and crops, the goddess was also connected with flax, that was used to make linen and was said to 'breathe' magical powers into the linen worn by the pharaohs where her title of "Mistress of the Robes" originates. She was also connected with the linen used for furnishing the mummy bandages of the Pharaoh, and text to this effect can be found in the Pyramid Texts of the Old Kingdom.